Mary and I came across this plant with very interesting pink and yellow flowers while taking a walk last weekend. We want to plant some at the house. Can any of our brilliant readers identify it for us? 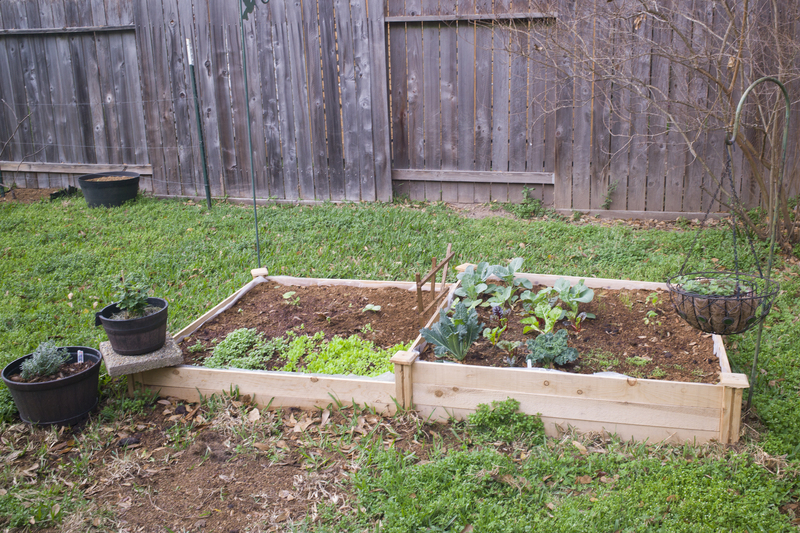 Meanwhile, Mary’s vegetable garden, which we planted on February 1 is doing very well. Looks like we’ll have plenty of fresh kale, spinach, peppers, carrots, onions, cucumbers, squash, cauliflower and tomatoes this year. We keep discussing how to combine gardening with boating, but there’s not much space on Gimme Shelter for tomato plants. YES .. I’m happy to report I CAN identify that flower for you! Therefore, I am now Brilliant .. yes ? Hey, a Boy’s gotta try …. I’ve never doubted your brilliance. So what is the flower? It’s Lantana Camara, I think. Aha !! It is Female .. Ms. Lantana Camara .. Une belle femme. 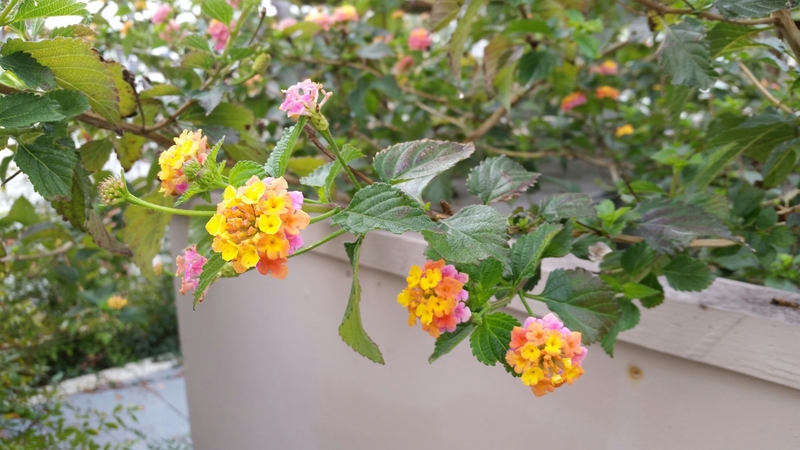 The Fruity Pebbles looking flowers are Lantana… but apparently you all figured that out. Hopefully this will certainly assist all Clash of Clans compititors.